Shelf Inflicted: Historical Western. Wait! Come back, it's good! 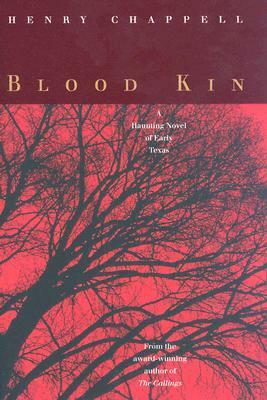 The Publisher Says: In Blood Kin, Isaac Webb, a young Texas ranger, struggles for decency amid the violence of the Texas Revolution and the early days of the Republic. Still in his teens when he joins the legendary ranger captain Noah Smithwick, Isaac discovers in himself extraordinary mettle in battle and a fierce yearning for young war widow Catherine Druin. But victory over Mexico does not bring the new Republic nor Isaac the peace and stability he fought for. Escalating Indian depredations forestall Isaac’s hopes to work the farmland he’s cleared near Bastrop, and to marry Catherine. Pressed into accompanying Smithwick as Sam Houston’s peace emissary to the Comanches, Isaac befriends Looks Far, a young warrior at whose side he fends off Waco Indian attacks and with whom he learns to grieve. As the Texans’ hunger for land and the Comanches’ penchant for raiding imperil Isaac’s friendship and thwart peace negotiations, Isaac returns to Bastrop prepared for the worst. When his future with Catherine is confounded by her father’s blind hatred of the Comanches and his own commitment to the indomitable Inez, a Lipan captive, Isaac must confront a brutal dilemma and a painful secret. So achingly honest and culturally sensitive is Chappell in his telling of this epic story that every image, every characterization rings true. It is hard to believe that he did not live it himself. My Review: I loved this book. It's about a fascinating time in Texas history, and a group of men who can often be reviled with justice...told from the perspective of a young, innocent man who joins the Texas Rangers almost by accident, it traces his development into an upstanding husband (of a Waco Indian woman) and father, a fighter for justice for all, not just all whites, and a friend of several of the founders of the Republic. I loved the descriptive power of the author's prose, and felt his characters were limned in fast, sure strokes. He comes at the subject from a deeply personal perspective, a love of his native Texas in all its warty glory. He makes the landscape, one I'm familiar with since Bastrop is close to my hometown of Austin, more real than I would ever have thought possible. He's describing the frontier, the time when there was nothing urban about anyplace much in Texas. And I can see it in my mind's eye, fitting over the modern small-town exurban reality of Bastrop. Chappell does an excellent job of making the dilemmas of his characters come to life. It's amazing to me how much drama and passion there truly is in history and how the way it's taught to kids makes that seem impossible. Novelists like Chappell see the story in history, choose a thread in the tapestry, and showcase it for us. It cuts through the propagandizing and malarkey of most works of historiography, when done properly and well. It's done both properly and well in this book. I can't recommend it strongly enough, especially to non-Texans.